A sprawling General Motors assembly plant near Youngstown, Ohio, will be idled March 6 after more than 50 years producing cars and other vehicles, a move that will eliminate nearly 1,700 hourly positions by month's end. 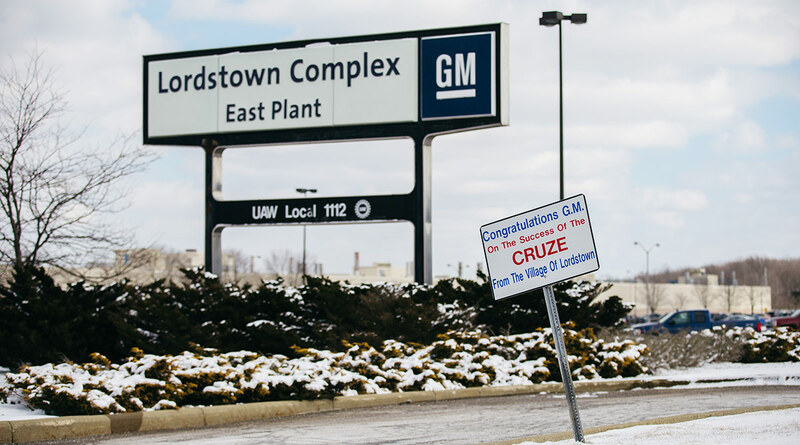 GM announced in December that Lordstown along with three plants in the United States and one in Canada would close this year. The Cruze, once a popular and well-reviewed compact car made in Lordstown since 2011, has become the victim of consumer tastes as car buyers in an era of inexpensive gasoline have shown strong preferences for trucks, SUVs and crossover-type vehicles, all of which produce far bigger profits than sedans for GM. While March 6 is the last day for the Cruze, GM spokesman Dan Flores said the plant’s parts-stamping operation will continue producing fenders and other replacement parts through most of March. The 6.2 million-square-foot plant will be placed in a “state of readiness,” Flores said, meaning it will be heated and fully maintained to allow for a resumption of operations. A final decision on the plant’s future is expected to be made during upcoming contract talks with the United Auto Workers that begin this summer. UAW’s national contract with GM expires in mid-September. The union claimed in a recent federal lawsuit that its existing contract prohibits GM from idling plants. UAW 1112 President Dave Green has urged workers to remain hopeful, saying their fate ultimately will be decided at the bargaining table. Meanwhile, production of the Cruze sedan and hatchback will continue in Mexico, where the car is made for markets outside the United States. Reuss also said GM can’t keep operating a plant with a slow-selling vehicle such as the Cruze, and have enough money to invest in the future. It also doesn’t want to get caught like it did in 2008 with too many factories and workers, a problem that helped to push the company into bankruptcy protection. Lordstown’s history dates to 1966. More than 16 million vehicles have rolled off its assembly line since then, including nearly 1.9 million Cruzes since the car went into production in 2011. The automaker has said most of its blue-collar workers whose jobs are eliminated in the United States will be able to transfer to plants in the Midwest and South. The other plants slated to close this year are assembly plants in Detroit and Oshawa, Ontario, and transmission plants in Warren, Mich., and near Baltimore.